Do you have a big goal to reduce your debt this year? Yes! You can do it! Living without a car payment is a great feeling. We have been there. It took a ton of work and commitment but we are so glad we did it. 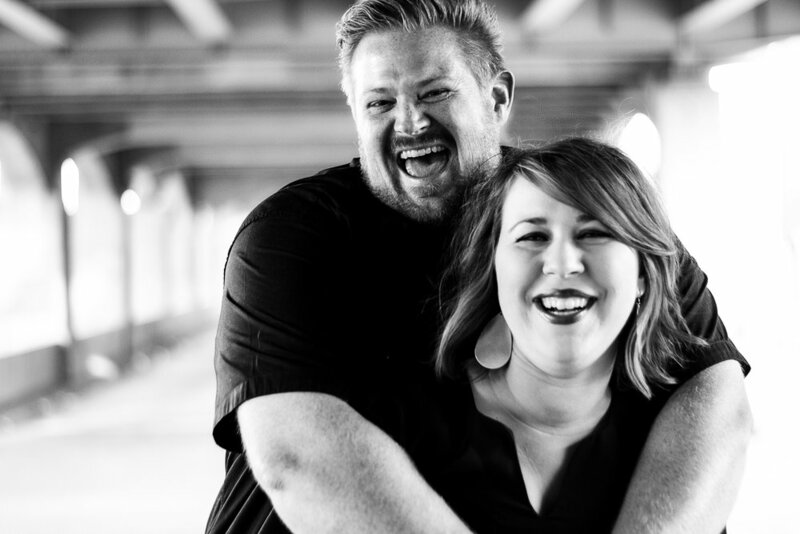 We want to help you reach all your big goals this year and beyond. One simple way to stay focused on your big goal is to keep a daily reminder of WHY you got started paying off debt in the first place. Our printables are a great way to keep you on track. Print it out. Fill it out and place it where you will see it everyday. Celebrate your success no matter how small it may seem. You can do it! Here’s our best tips for using our printables. To print and use this tracker you need to gather up a few supplies! A printer. We use this one at home right now. Colored Pencils, Highlighters, or Markers. Whatever you want to use to track your progress! It is up to you! You can use this tracker a hundred different ways. Do what works for you and your debt free journey. We find that setting a goal and making it visible in our life motivates us to keep going. 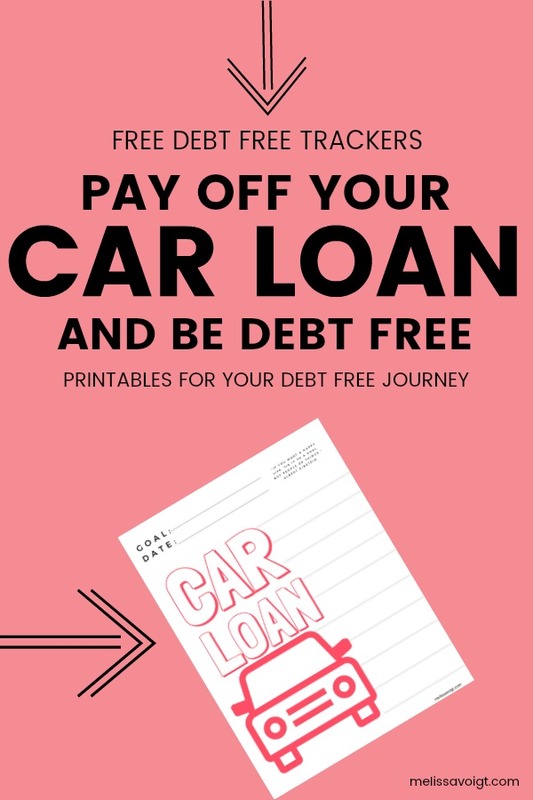 One easy way to use this tracker is to take your total debt from ONE car loan and divide it by 10. You will notice our trackers have 10 grey dash lines along the right margin. Please note you can track your progress anyway you want with this printable. This is just ONE example! For example, if your car loan for one car is $20,000. Each grey dash line would represent $2,000. You would write $2,000 at the bottom dash, $4,000 at the next dash, $6,000, and so on. You could color in your chart from the bottom to the the top until you reach $20,000 goal!! It is helpful to place your chart where you see it daily to remind you of your goal! 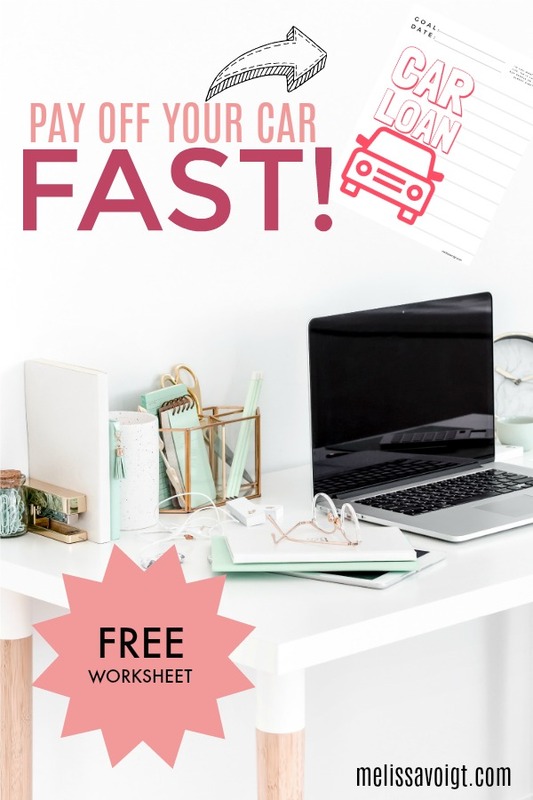 If you have more than one car loan, print one tracker out for each car. Paying off your debt is not easy. We know it. We’ve paid off our cars, credit cards and then our home! It was hard work. We followed the baby steps and constantly kept our goals in the front of our minds especially when things didn’t go according to plan. We love using a cash envelope. We use it to track our food and other expenses a busy family incurs each day. We love shopping at Aldi and have some great free Aldi meal plan ideas and resources. Aldi has really helped us find extra money in our budget to pay down debt fast. Get instant access to my FREE resource library. Once subscribed I will send you a newsletter about new files and printables I’ve added. MORE FREE PRINTABLES FOR YOU!